All those who want to boost profits, have another option in their basket and that is investing in green energy, which is the best way to make money and that too in a way beneficial for society and environment. Biofuels: Biofuels such as ethanol are generated from harvested plant material such as sugarcane, switchgrass, corn, hemp, sorghum and other crops. Solar Energy: It is provided by the Sun and is employed by solar cookers, calculators, water heaters etc. It provides 0.04% of the world’s energy. Water: Hydroelectricity is provided by water energy and is used for many years. It is the best available option. Hydrogen: The hydrogen energy is produced by electrolysis of water and there are companies that are converting this energy into electricity and hydrogen powered engines. Wind: There is a growth of wind power industry of 45% by 2007 and is employed in wind turbines, wind mills etc. There are stocks available to invest in green energy, which can be found listed in the Global Renewable Energy Stock List & Directory. There are mutual funds and ETFs that you can invest in and they are found at the Five Green Mutual Funds You Need To Know and Seeking Alpha’s Choosing An Alternative Energy ETF. There are also other options available. It’s always better that you study the researches published on green energy and its use, so as to get the maximum benefits from your investments. For that matter, one must keep looking into the Wall Street Journal, The Motley Fool and Stockscouter. To strike a profitable deal, you must examine the available green energy investment options keenly, comprising both their past and forecasted future performance. Do analyze the benefits and disadvantages of the related stocks and mutual funds. Stocks, being less predictable need more scrutiny than mutual funds. One can take assistance from various sites, which provides information on this only such as ‘How to Buy Stocks’. After following the above mentioned steps, one is ready to make investments, based on the assessment of all the negative and positive aspects of his or her investments. 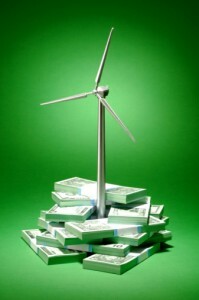 Though, the green investments offer a safe horizon, but still it’s better to look into the options vigilantly. The above stated steps provide the guidance for making your investments profitable, by having in-depth information on the facts of the investment options. It’s always advisable to put your money in alternatives that are in the best interest of ecology and the society.